Well this is probably my favorite time of year because you can wear sequins everything, anytime and it’s acceptable. 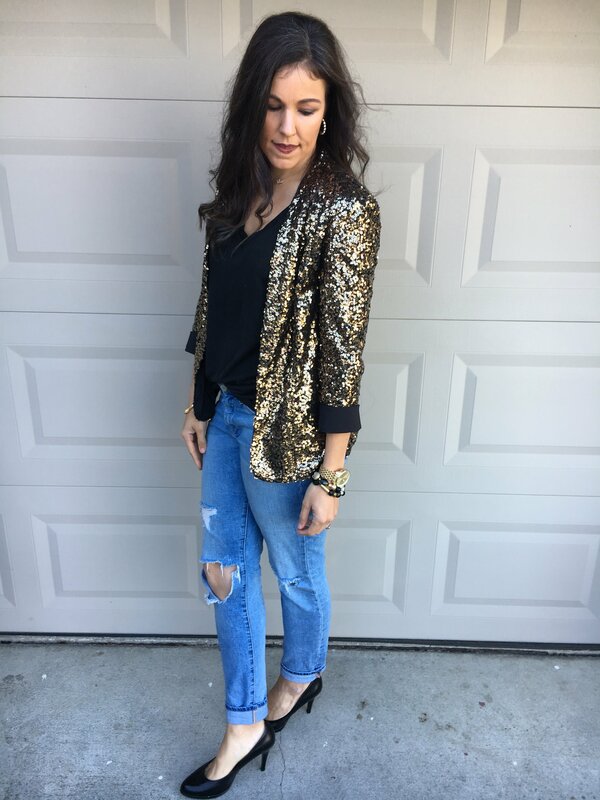 I love the idea of mixing sequins and ripped denim for a casual, yet put together look. This is perfect for a holiday get together with friends, going out for drinks or even a date night. 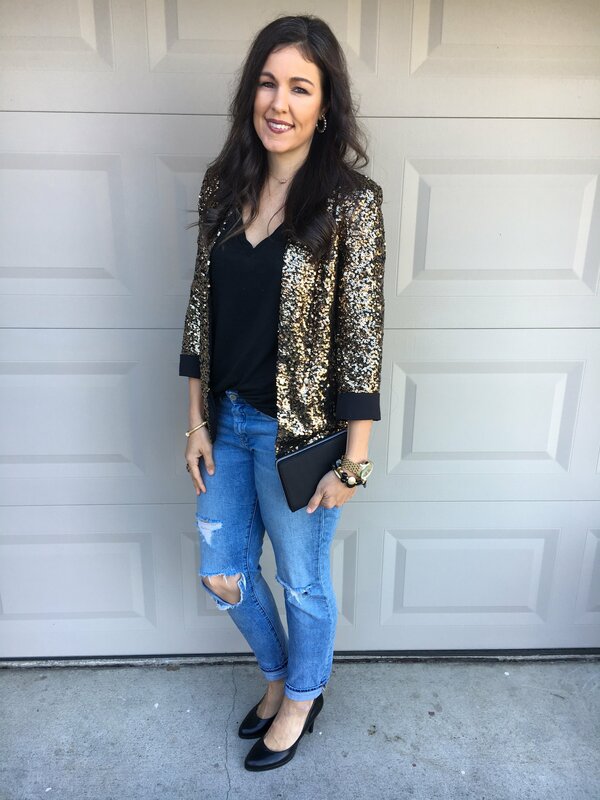 I actually got this blazer last year, it is another of my fabulous finds from Burlington. I love shopping at Burlington, it’s one of my secret weapons for finding current trends without having to spend a ton of money. Thanks for Stopping by. Hope you all have a great weekend! 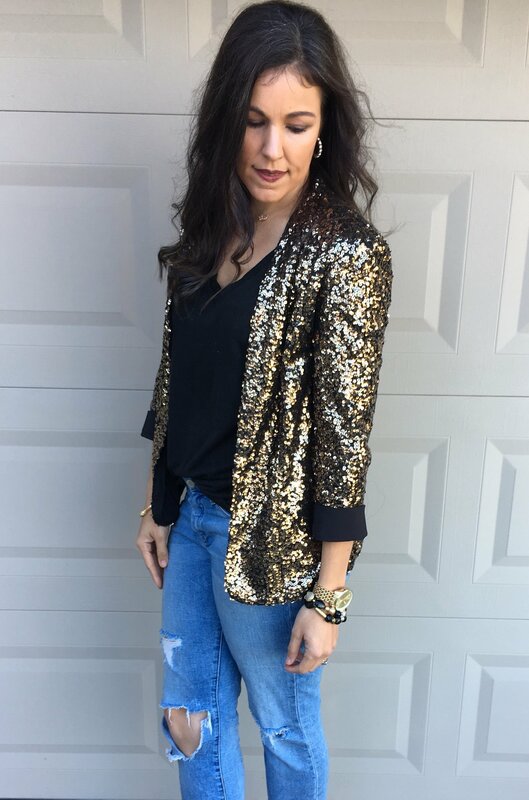 Love this sequined blazer Kallie and how you styled it. Perfect for the holidays. Merry Christmas! Welcome by and linkup tomorrow. <3 Ada. awesome holiday look! 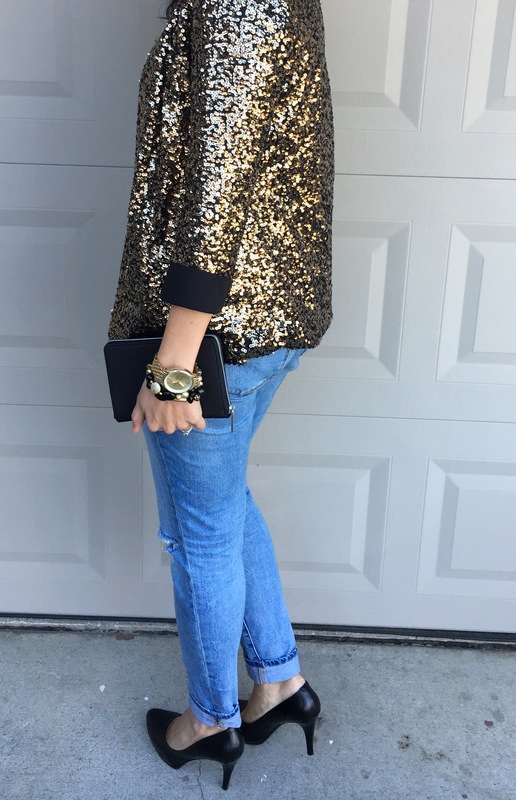 I love sequins this time of year!